Lovers of history know that objects shed light on the lives of people in past times. Some bring profound insight into a particular era, movement, or event. Only a few carry the weight of multiple centuries of political and historical upheaval with them. The Stone of Scone is such a one. 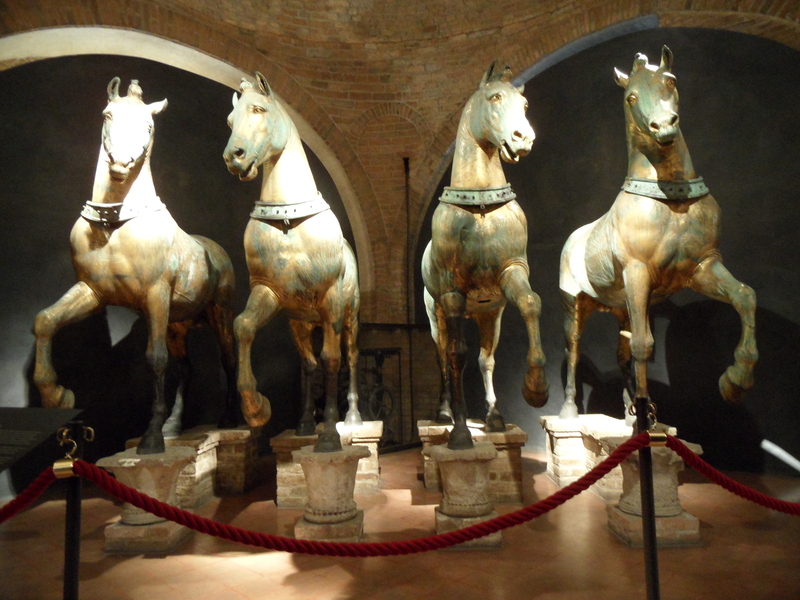 The horses of Saint Mark’s Basilica in Venice are another. The horses enchanted me from afar on my first trip to Venice. High on the loggia in front of the basilica (from which the doges and dignitaries of the Serene Republic once looked down on the square), the horses strut and snort, looking like the personification of Venetian power, so lifelike that they look like they might leap from the loggia to the piazza below. The second time I had an opportunity to explore on my own. I climbed the winding stone steps to the gallery above the basilica, to the Museo Marciano and the basilica’s treasury. There the original team of four horses intended to pull a “quadriga” or four-horse chariot, is protected inside the museum. While technically quadriga refers to the chariot, the term Quadriga, capitalized to refer to the specific group in Venice, has come to encompass the horses as well. Almost life-size, they left me in awe. When I stepped out onto the loggia I fell in love even with the replicas. 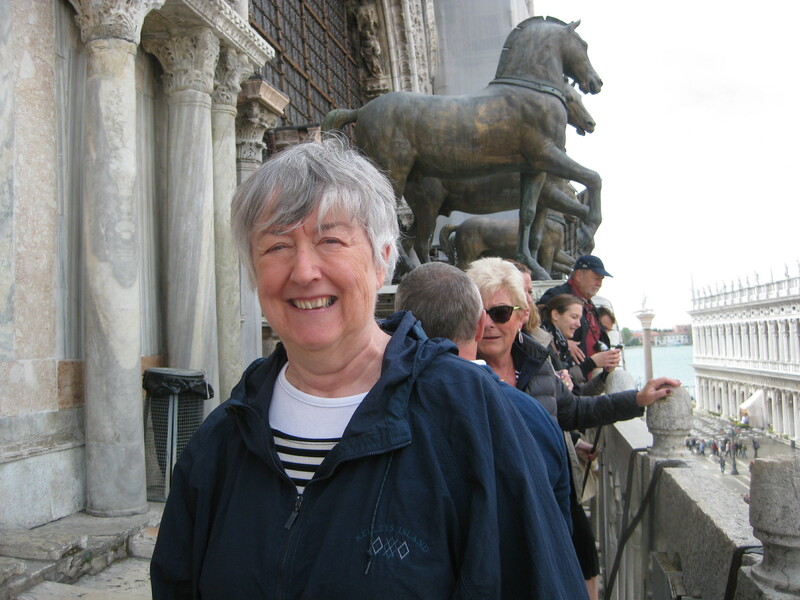 From the first I knew that the horses had been carried to Venice after the army of the Fourth Crusade pillaged Constantinople in 1204, but it was only after I began research for a novella that I understood the depth of history clustered around the Quadriga. No one knows the exact origin of Quadriga. During the Renaissance they were attributed to various geniuses of ancient Greek art: Praxiteles and finally Lysippus. Later theories suggested they were of Roman origin, a theory bolstered by the fact that they have been found to be not bronze but 96.67% copper and gilded. Details of construction and style led to the dominant modern theory that an unknown Roman artist made them in the second century BC, probably on the island of Chios. They were well over a hundred years old at the dawn of the Christian era. Where were they originally installed? How did they get to Constantinople? No one knows. There is no doubt they made up a set of four horses in harness pulling a quadriga. Such quadrigas were often used to crown triumphal arches in ancient Rome, such as those of Septimus Severus or Trajan as symbols of the emperor’s power and the glory of empire. These probably served such a purpose. The glory of Rome is in the very copper with which they were made. Constantine founded Constantinople in 330 AD when the horses would have already been close to 500 years old. At some point they were brought to the new capital, carrying Roman glory with them, and installed, probably in the hippodrome. What better place for a team of horses pulling a chariot than a racetrack? There is an eighth century report that mentions three such teams of horses including one at the hippodrome. The horses would have been 800 or so years old by then. Hadrian’s Wall was a mere two hundred years old. Neither the Tower of London, Saint Peter’s in Rome, nor Notre Dame de Paris had been built. The Quadriga stood for 500 more years, through the transformation from the ancient Roman Empire into the development of the Byzantine, until the fourth crusade, in 1204. The fourth crusade has been called one of the great detours in military history and also the greatest art theft in history. It has been called worse and deservedly so. 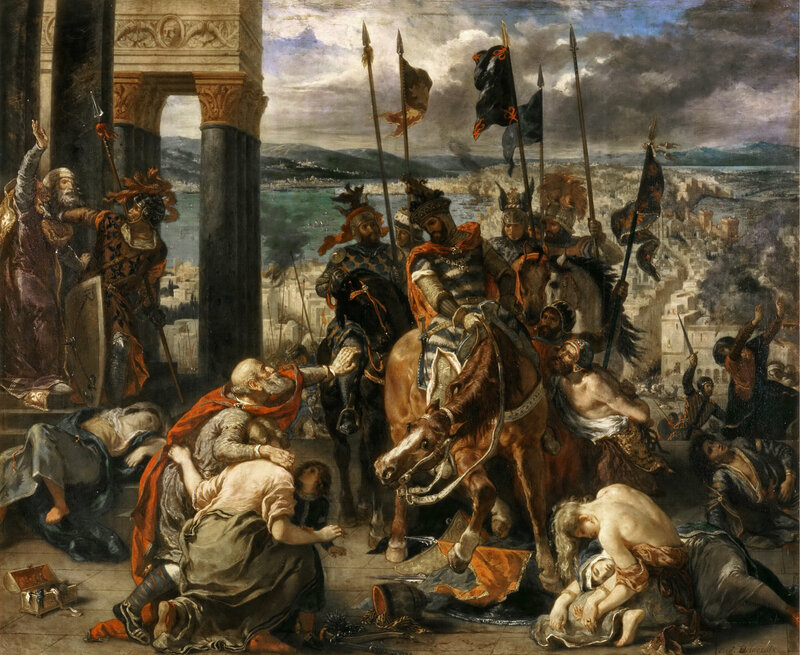 Simply put, the Venetians, disgruntled over various failures to realize profits they had expected, found it easier and much more profitable to attack and plunder the Christian city of Constantinople than to sail to Alexandria and lead an army overland to Jerusalem as planned. Uncontrolled looting decimated the people of Constantinople and lined the pockets of every member of the crusading army. The best of the booty went to Venice. There’s reason to be believe key pieces including the horses, had been staked out in advance. Much of the glory of Saint Marks including marble and the marvelous doors came from the 1204 loot. The belts seen across the necks of the horses today were added to hide the place the heads were removed for shipping. It took until 1261 and some political infighting, but they were incorporated into the design of the basilica. The glory of Rome now reflected on the glory of the Venetian republic. There they remained for yet another 500 years. Venice grew to dominate the Mediterranean by the 15th century and remained so for a long time. The horses already carried the patina of a rich 1900 year history. It wasn’t over. By the 18th century Venetian power had faded. When I began my research, I was startled to realize that in 1818 Venice belonged to Austria. It had long since become a byword for decadence and faded self-importance. I quickly learned they hadn’t conquered the city but had been given it by Napoleon. The Austrians were not kind—they had, for example forbidden the masks and celebrations of Carnevale—but they took the reflected weight of history with pride, as became apparent after 1815. By 1796 Venice was no longer able to defend itself. 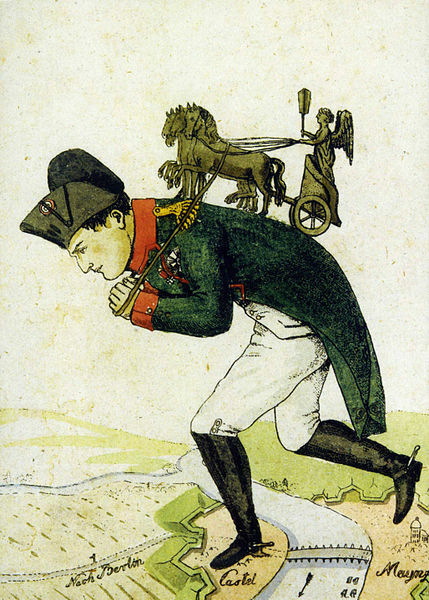 Napoleon had already taken control of the Piedmont and most of northern Italy. The city surrendered without a fight and the doge abdicated in 1797. The Serene Republic came to an end. The French army imposed the Code Napoleon, unlocked the gates of the Ghetto, and took over. The political situation, however, was complex and for reasons better told elsewhere Napoleon gave Venice to Austria in the Treaty of Campoformio. Did Napoleon leave Venice empty handed? Of course not. He took the horses. Within a few years he would engineer a coup, have himself declared Emperor of the French and build the Arc de Triomphe du Carrousel in 1806. 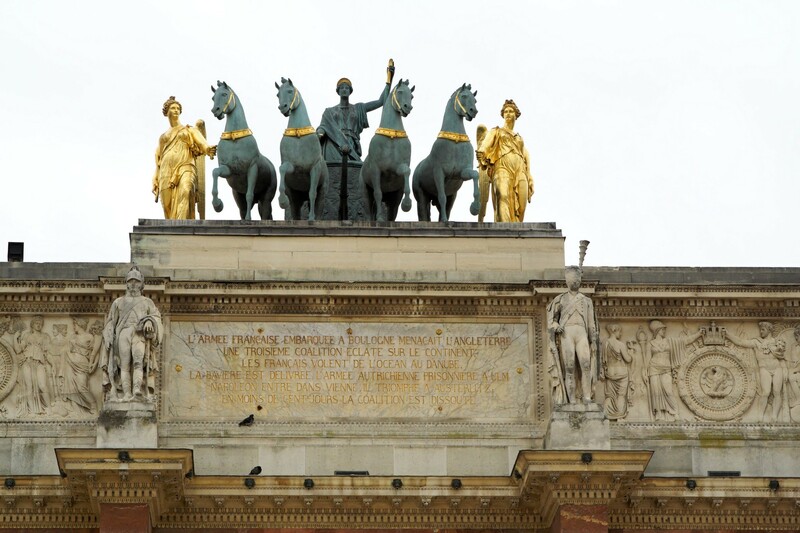 The Arc du Carrousel is based on the Arch of Constantine in Rome, and topped by—what else?—a quadriga. The horses of Saint Mark, now pulling a chariot, looked out on the region around the Louvre and Tuileries. They didn’t stay long. They stood through Napoleon’s rise; they stood through his rapid fall. After Waterloo, they returned to Venice. The great battle took place in June. On October 17, 1815, Austrian and English engineers removed them from the Arc du Carrousel under a guard of Austrian soldiers. They were ferried across the Venetian lagoon and reinstalled. In 1818 the characters in my novella, English folks on the Grand Tour, would have seen the Quadriga, but alas no Carnivale. The Wish of the Berliners (1814), artist anonymous. As an aside, Roman victory symbols remained in the European psyche. the French built replica of the Quadriga and restored the Arc statuary in 1828 using a generic figure as the charioteer. Prussia had actually constructed a triumphal arch as part of the “Peace” or Brandenburg Gate as early as 1791 and had a quadriga sculpture commissioned for the top. Napoleon took that one to Paris also and it also was returned. Unlike the rest of these, horses at Saint Mark’s were the real thing. Though the Quadriga, the most significant piece of war booty in European history, returned to Venice, history had not finished with it. During World War I they were taken down and stored in the Castel Sant’Angelo in Rome. During World Ward II they again came down. That time they were stored in the Praglia Abbey near Padua. In 1977 they underwent one of their innumerable restorations. In 1982 they were moved into the Museo Marciano due to the destructive effects of twentieth century air pollution. It remains to be seen what the effects of rising seas and the gradual sinking of Venice will have. Their history is not yet finished. Traveler, would-be adventurer, librarian, technology manager, Caroline Warfield has many things, but above all a romantic. Someone who begins life as an army brat develops a wide view of life. She is a writer of historical romance, enamored of owls, books, history, and beautiful gardens (but not the act of gardening). Currently retired to the urban wilds of Eastern Pennsylvania. 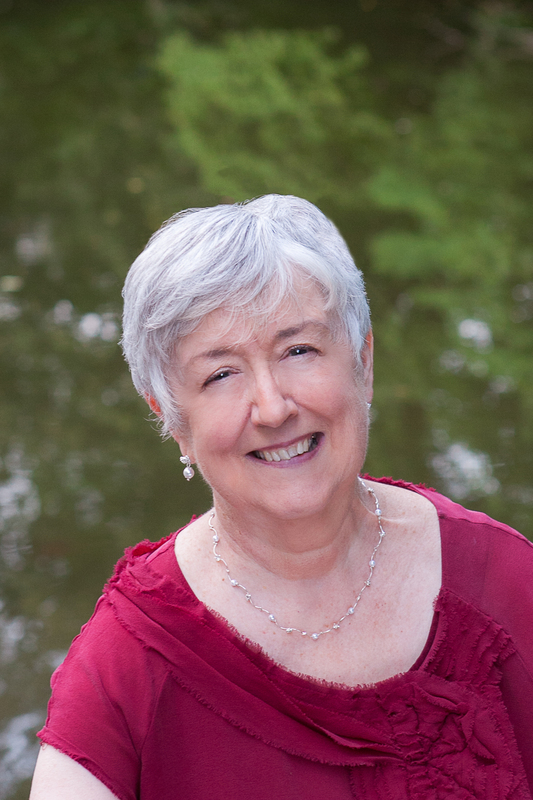 She divides her time between writing and seeking adventures with her grandbuddy, and the prince among men she married. Dangerous Weakness, set in London, Gibraltar, Malta, Thessaloniki, Constantinople, and a fictional island off the Barbary coast. “A Dangerous Nativity,” a novella in Mistletoe, Marriage, and Mayhem features characters from the early works. For more information about her work click here. Definitely interesting. The Quadriga are just biding their time. Oh what the history they have seen! Wonderful post full of cool information.